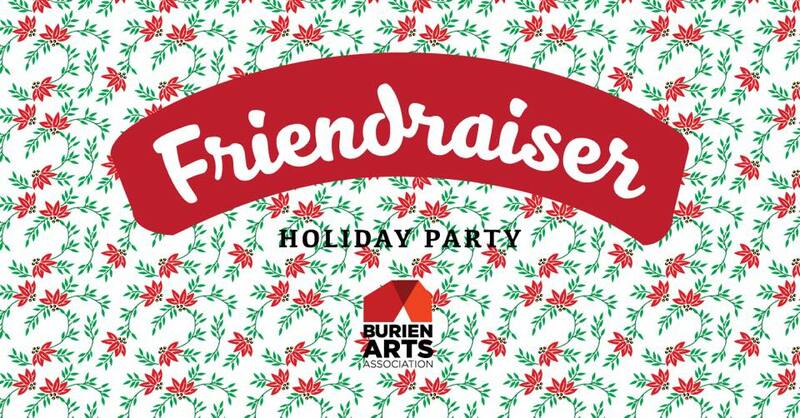 Burien Arts Association "Friendraiser" Holiday Party Dec. 15. The first annual Burien Arts Association Friendraiser Holiday Party Dec. 15. Bring 3-5 new friends for Burien Arts Association to meet. We’ll provide the party, including appetizers and drinks. This is not a fundraiser- it is all about community building!